The nine of diamonds evokes everything that is late. It can be lateness in the conclusion of an affair, a project or unforeseen events that the consultant will have to face. 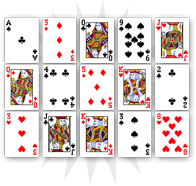 In cartomancy, the nine of diamonds is a bad omen that presents obstacles. 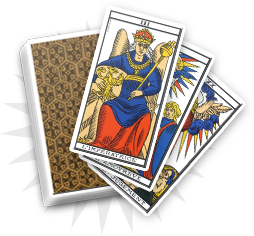 The consultant should be able to overcome them but this card brings uncertainties in terms of timing. The results of your efforts will be postponed; you will have to wait. Expect to be enduring mishaps. In your professional circle, you may have to face new obstacles. In love, you could be engaged in an ambiguous relationship or meet someone with whom you will have trouble getting closer. In order to overcome the difficulties brought by this card, you will have to be flexible and adapt. 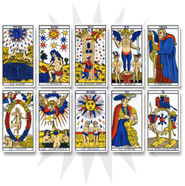 Observe the other cards from the reading to understand which decision to take. An unexpected event could take place for one of your relatives in the next few weeks, and it will put him/her in an ambiguous position. On the emotional level, it could be an uncertain relationship. On the professional level, an event could delay his/her projects. 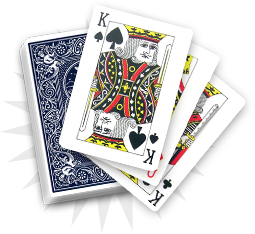 You will have to be pragmatic in order to support your relative and overcome the difficulties brought by the nine of diamonds.